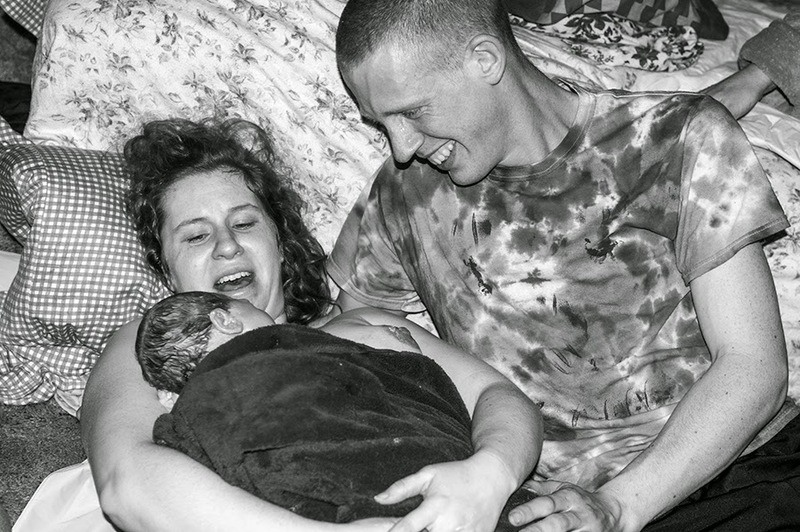 PLEASE NOTE: These are images of a home birth. I was lucky enough to have the permission of the mother to post these and share with others, so I expect respectful and open-minded viewers. I have processed these to black and white in consideration, but if you feel if you may somehow be offended or disturbed by these images, DO NOT read further or scroll. Thank you. Back and forth, Abigail and I for a week or two talked about how she felt like she was about to give birth, then to no avail she was back to normal. Then, I got a call around 2am saying it was happening. I only had about two hours of sleep at the time, and groggily I drove myself to a room to build my adrenalin and reflect on how the woman's body is miraculously strong and courageous. Unless you have seen a woman in labor or been a woman in labor yourself, I do not feel like you can fathom how wonder-FULL the female body is with bringing Life to the world. I may not have given birth or carried a child myself, but photographing and seeing a woman in the process of bringing her child into this world is amazing. Hats off to every mother. was certainly shown during this momentous time. My favorite of the mother during a contraction. 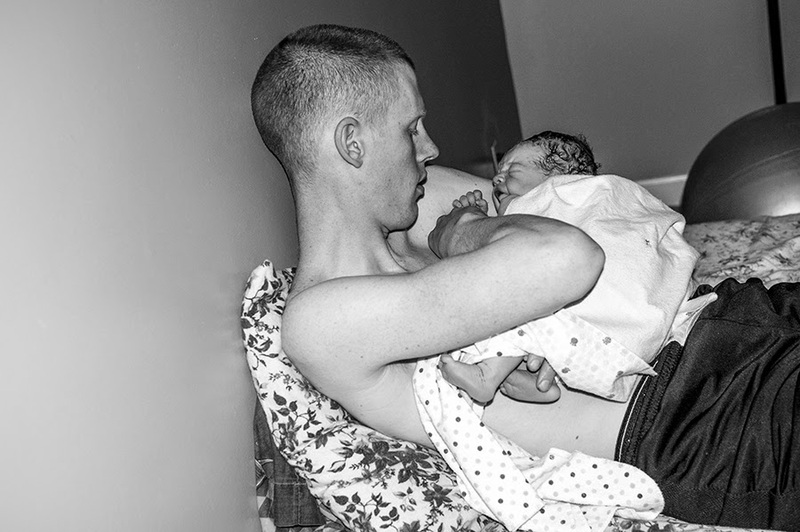 Father cuts the umbilical cord of his new son. A sincere congratulations to the family. Abigail, you will be remembered for many seasons in my photography career. I wish you much happiness with your love and family! Des' ola, I'm teary eyed viewing these photographs. I gave birth to my daughter 5 1/2 months ago in the maternity ward. My husband always tells me how amazing it was (oh how I love that man of mine) to watch. I was exhausted after 27 hours of labor and had a limited view. I wish I had photographs of it. Giving birth was the most amazing thing I've ever done in my life. These photographs are lovely.